We keep things rolling today with a look at the team’s options at second base. The Cubs have a ton of options available to them at this position, but who the starter will end up being is up in the air. In all likelihood it is a two-horse race, with Javier Baez and Tommy La Stella going head to head for the job. 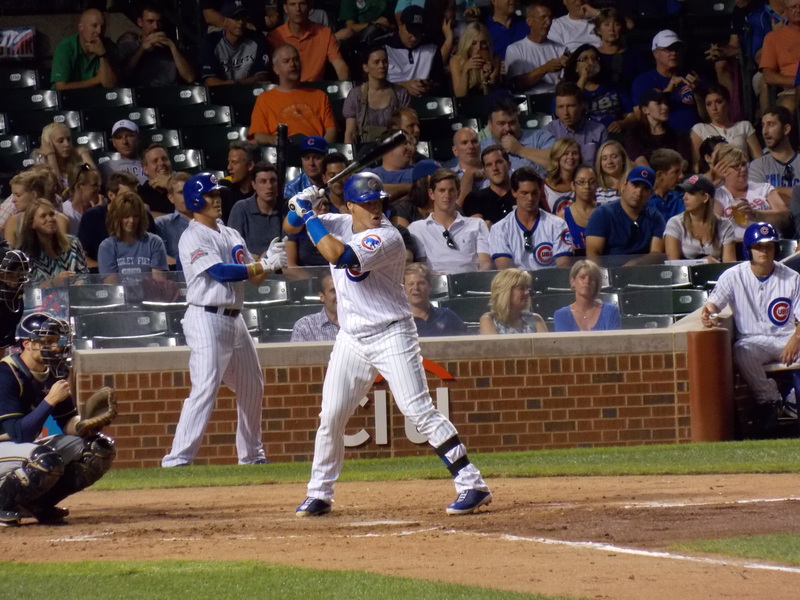 Baez has plenty of upside and can hit the tar out of the baseball….when he makes contact. As for La Stella, his slash numbers were solid last season with the Atlanta Braves, and his plate discipline was a heck of a lot better than Baez’s. Javier Baez bats against the Milwaukee Brewers September 3rd. The problem with La Stella is that he provides literally nothing else if he isn’t getting on base. His power is nonexistent, and going into his second season in the bigs, pitchers are really going to start adjusting to him in the new year. Baez’s power upside is definitely something that could give him an edge in the battle, but if he struggles in the warm air in Arizona, then we could see a shift in thinking on the part of the Cubs. Either Baez or La Stella could get the primary back-up job at second base (Baez could get a leg up for a roster spot since he can also fill in at shortstop, and potentially at third base in a pinch), but Arismendy Alcantara will also see plenty of time at the position. 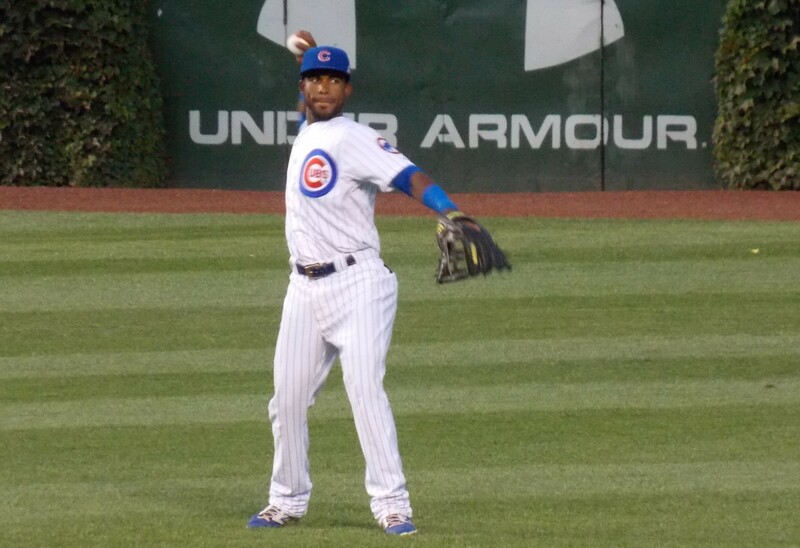 With Dexter Fowler in center field, Alcantara will be looked at as a utility guy extraordinaire, and he provides a nice insurance option in case Baez and La Stella both struggle out of the gate. The Cubs may have quite a few guys that can play the position, but we still have this spot ranked seventh out of the eight fielding spots. The questions about Baez’s plate discipline and about La Stella’s ability to continue hitting for average with the Cubs are serious concerns, and even though Alcantara does give the spot a bit of a boost, not having an established guy to man the position is a bit concerning. The Cubs’ plethora of middle infield prospects is an asset that many teams would love to emulate. Logan Watkins made 68 plate appearances for the Cubs in the 2014 season, putting up an OBP of .269, so he could start the season in the minors. Gleyber Torres is another guy to keep an eye on, with an insanely high ceiling and some great tools that he could use to jump higher on the team’s overall prospect rankings. One other player to keep an eye on this season is Gioskar Amaya. He could be poised for a jump after playing well in high-A ball last year with Daytona, and he has some decent speed (14 stolen bases in 21 attempts in 2014) to go along with a solid OP of .379 a season ago.